In this edition of Brother to Brother, I present the topics, and Big Bro responds. My comments will be in regular font. Steve’s will be in italics. Please note: My comments were made January 21. Steve took some time responding. His comments were made January 23. In this edition we talk about the Patriots season, top 10 Friars we have seen play, Jeff Green, and various other topics! 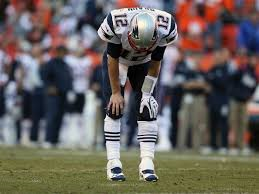 1) The Patriots have no reason to be upset with the season they had. They lost to the better team on Sunday. To be honest, I expected them to get walloped to the tune of 42-24 or so. I still believe the Patriots can make another run next year because there is no clear cut team in the AFC ready to make the next step. Keep in mind the Pats will be healthy coming into next season. All in all you might be able to say the Pats overachieved this season. Still hurts to lose to Peyton though. Pats – Great season. Something very difficult for NE fans to keep in perspective. The Pats have been to the AFC Championship 8 times and 6 Super Bowls in the last 20 years, plus amazing winning percentage. Pats fans are spoiled because of all the success. Think of the following teams: Browns, Bills, Jags, Texans, Cowboys, Lions, Dolphins, Bengals, Raiders, Bucs, Redskins, . Cowboys have not won a playoff game in 20 years. Think about that. They had a great season and the future looks bright. You could make the argument that their off-season acquisitions will be the return of injured players (Wilfork, Kelly, Armstead, Mayo, Talib, 3 rookie receivers, full season of Vereen, Gronk, Amendola at full health). I read they were the second youngest team in the NFL. Health was the biggest factor for them. I also saw that Amendola should have been on season ending IR in Oct, maybe people will give him a break, he must be tough. 2) Everyone is bashing Richard Sherman. You know I like to stick up for the guy everyone hates. Let’s be honest, his cough adrenaline cough was flying high after the biggest play of the season to send his team to the Super Bowl. You interview him 10-15 minutes after that play on the field? He is still emotional. Everyone knows his history. Of course that outburst was going to happen. He was jacked up. And I have no problem with it. I like seeing emotion a lot more than the usual “yes man” athlete. I thought it was fantastic to see the unadulterated emotion. Sherman – Ehhh, an example of a non-story becoming a story. Wow, an NFL player talked trash, gee I never saw such a thing. 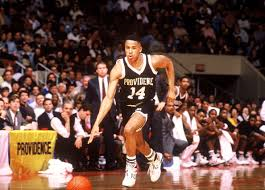 3)Eddie Cooley has the Friars at “first 4 out” in the latest Bracketology. Amazing he has the team this competitive with the adversity the team has faced this season. He is basically playing 6 guys. Bryce Cotton has played 50 minutes twice this season. Cooley has said he will come out of the game when he graduates. Cotton has crept into the 10 top Friars I have ever seen. I know my list will vary greatly from yours but here it is. 1) Eric Murdock 2) Austin Croshere 3) Eric Williams 4) Ryan Gomes 5) Michael Smith 6) John Linehan 7) Bryce Cotton 8) Dickey Simpkins 9) MarShon Brooks 10) Jamel Thomas. Friars – In no particular order – Billy Donovan, Eric Murdock, Soup Campbell, Otis Thorpe, Eric Williams, Ryan Gomes, Austin Croshere, Ron Jackson, Joe Hassett, Michael Smith. Ask Dad if he remembers Ron Jackson. They very best were before my time: Ernie D, Marvin Barnes and Jimmy Walker. Special note to Marty Conlon, became a solid NBA player, but no one saw that coming. And special note to Harold Starks, the greatest energy, defense first guy they ever had. 4) The Longhorns had a big win over #8 Iowa State the same day PC beat #20 Creighton. Our squads are looking up? Frankly, Iowa State is a one and done candidate come March. I don’t think they get out of the first round. After PC beat Creighton, Creighton turned around and smacked #4 Villanova by 30. Too bad the transitive property doesn’t pertain to college basketball. Keep in mind Nova smashed PC by 30. Longhorns & Barnes – Crazy program. It is obviously a football school, but he has built a great basketball program. The team is 2-3 recruits away from being very, very good. Problem is when they get the talent, they are not around long. But something to think about, here is a list and again in no particular order of the guys UT/Barnes has placed in the NBA. TJ Ford, Kevin Durant, LaMarcus Aldridge, Avery Bradley, Cory Joseph, DJ Augustin, Daniel Gibson, Jordan Hamilton, Dexter Pittman, Royal Ivey, Damion Jones, Tristan Thompson, PJ Tucker, Chris Mihm. 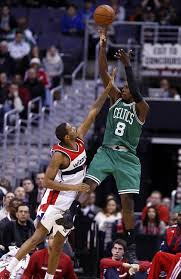 5) It is time to explore trade options for Jeff Green. The Celtics are in a complete rebuild mode. Green is a fringe player. He has shown signs of being a top dog in the NBA, other times he completely disappears. I don’t see him as a guy that can lead a team anywhere. Remember the old line Bobby Knight used referring to Steve Alford? That applies to Green. The Celtics should rebuild around Rondo and Sullinger. I compare Sullinger to Charles Barkley. Both are undersized power forwards, who have a knack for cleaning the glass. Sullinger is trying to develop some range similar to Kevin Love. As long as his back holds up, Sullinger can be a great guy to build around. Remember he was supposed to be a #1 overall pick after his freshman year but he stayed in school. Time to trade Green for a first round pick somewhere. Jeff Green – Dropped 39 last night. I still go back to my comments last year during the playoffs. This is a guy who has been Option #3 for most of his career. He is an outstanding athlete, but does not have the instinct for selfish play and may not be a natural leader. That is not a bad thing, when you think of the alternative, which is someone who wants to lead but can’t or sends the wrong message. Also, you cannot have a locker room full of so-called self-appointed leaders, then you have nothing, sometimes having no drama guys who follow is a great thing to have. Ainge actually did a good job with him from a contract standpoint. He did not overpay. I would rather have Green and his contract than Wallace and his contract. 6) Now that the Patriots season is over, the focus in the region will be the Bruins. The Bruins are in second in the Eastern Conference, 5 points behind Pittsburgh. They could be in trouble come playoff time because they lost Dennis Seidenberg for the season to an ACL injury. The defensive pairing of Chara and Seidenberg has completely shut down high-flying offenses in years past. Seidenberg might be the most underrated athlete in Boston. Bruins – I have to do a better job following hockey. My lack of hockey knowledge is apparent. 7)The Olympic break is one of the more interesting conundrums in sports. Hockey owners must hate sending their best players to Sochi. The beauty of the Olympic hockey is hockey players are a different breed. Cam Neely said it best when asked why the hockey players compete in the Olympics and do everything they can to win (as opposed to NBA players who coast through these competitions) “because they don’t know any better.” The Olympics will serve as the true All Star Games fans want to see. Olympics – Ehhh, used to love it, now it just feels like a pre-cursor to Campbell’s soup commercials and Wheaties boxes for the lucky winner. 8)Not much news on the Red Sox. I am praying the Mets sign Stephen Drew so Xander and Middlebrooks will not have to look over their shoulder and have their development stunted by Drew. The Grady Sizemore deal is reminiscent of when the Red Sox signed Rocco Baldelli. Low risk/ high reward. He offers competition for the center field spot with Jackie Bradley Jr. I can’t honestly say I am expecting anything from him. Red Sox – Grady Sizemore! Way to go all out Cherrington. Reminds me of when Sinden ran the Bruins knowing they would always make money so never signed the talent to get to the Cup. Although, I think the Sox really learned their lesson with Crawford/Gonzo signings. They saw the burden those contracts might present, the animosity of the fans when they don’t perform. Boston fans would rather have guys killing themselves to prove themselves, than guys who get paid a lot to demonstrate apathy with W-L. Boston fans can handle losing, if they know the players hate losing. If they think the players are rich guys who could care less, it gets ugly. Peter Vescey follows me on Twitter and you should too @ScottieNTCF.